A garden wedding ceremony in Evergreen Garden Venue is the most intimate way to start your wedding day. 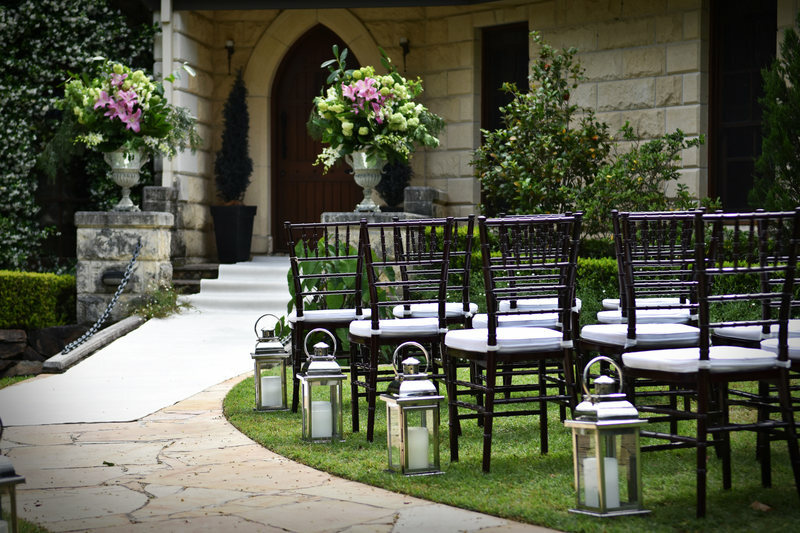 We are a boutique garden ceremony venue specializing in small numbers 2 – 60 people. 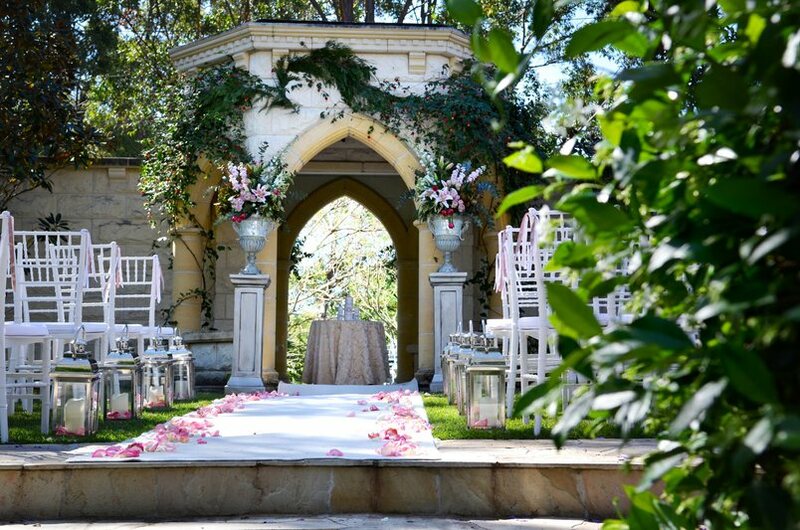 Evergreen Garden is the perfect place to have your closest family and friends to witness your vows in the complete privacy of our secret garden. Such a relaxed atmosphere with unlimited stunning photo opportunities. Rose Garden on our quaint timber bridge. Each area has its own personality and sense of style. 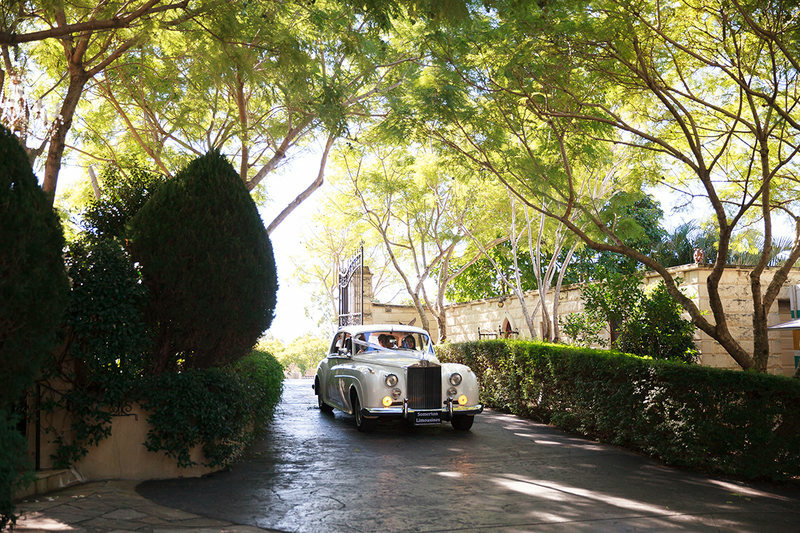 After your wedding ceremony, feel free to meander the pathways and have your photography taken in many varied locations. There are European styled stone features, in contrast to the rustic bush land, and wandering creek. 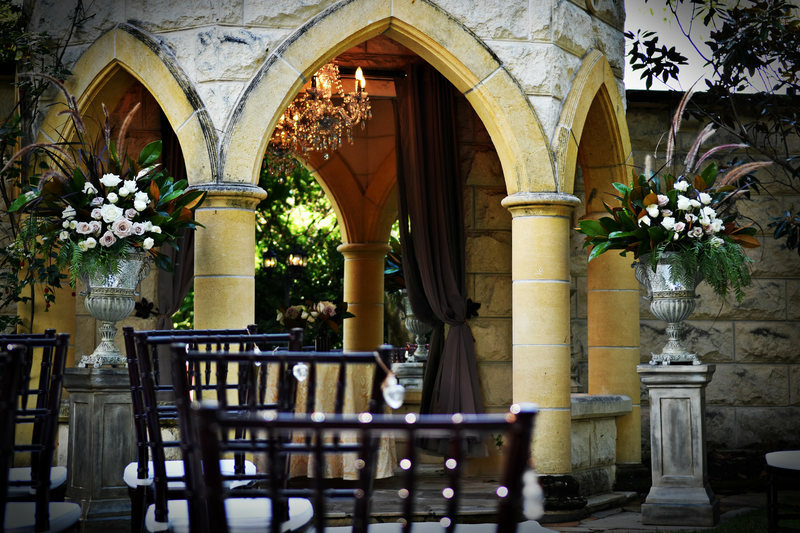 Evergreen Garden is a small, secluded venue that is a hidden gem. This is the perfect package if you are looking for a Ceremony only venue. An enchanting, magical backdrop for all your wedding photography that will be the moments that are captured forever. This is such an intimate garden for the very private and sacred moment that you become man and wife. 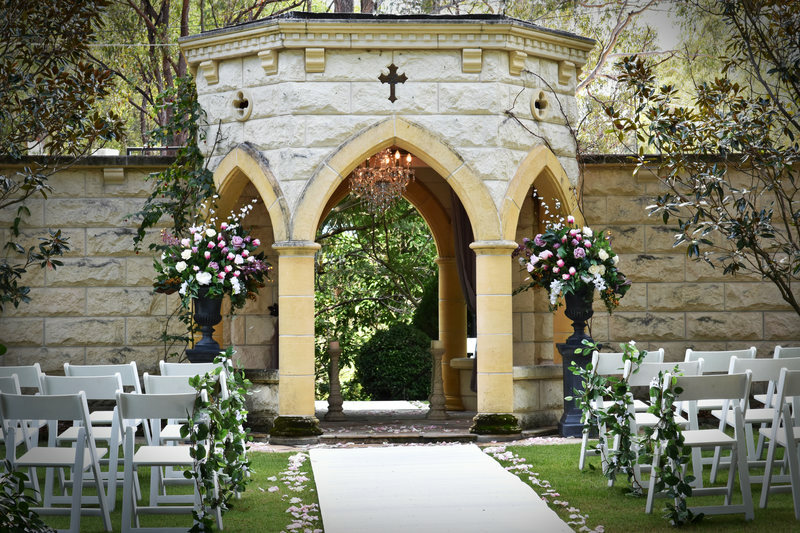 Say “I Do” in this beautiful, fairytale garden… where dreams really do come true. 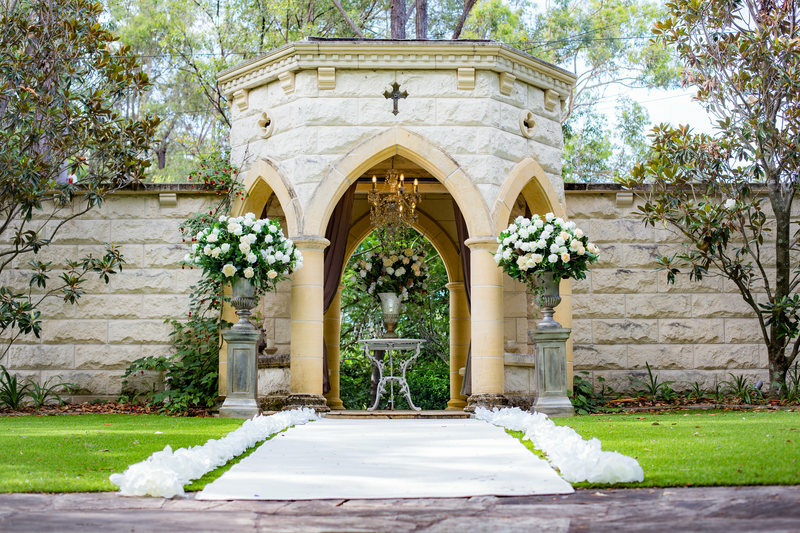 This beautiful combination of Ceremony and Garden celebration is the perfect way to start your married life together. Relax with family & friends in the comfort of our private garden. Take your time to meander through our magical land. 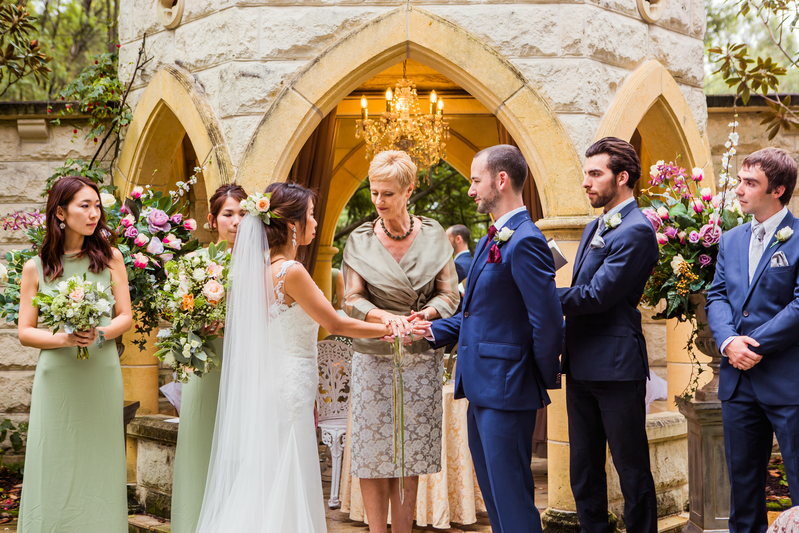 Your photographer will capture those everlasting memories while your guests are enjoying gourmet canapés and refreshments served in the grounds. Everybody is happy and relaxed in Evergreen Garden. Evergreen Garden offers an arrangement of bar packages to compliment your beautiful ceremony. After all the officials and nerves of the day, it is lovely to relax with your guests in the ambience of the garden and celebrate your marriage. These add-ons to your Silver package are for 30 guests. We just wanted to say a HUGE thank you to you for all your hard work organising and coordinating our wedding. You made the process so easy and straight forward! We couldn’t have asked for anything more – it was absolutely perfect, and more than we ever could have hoped for!! We would highly recommend Evergreen Garden Venue the most amazing & stunning venue to anyone and we are so pleased with the outcome, which was an absolutely beautiful and enjoyable wedding day. 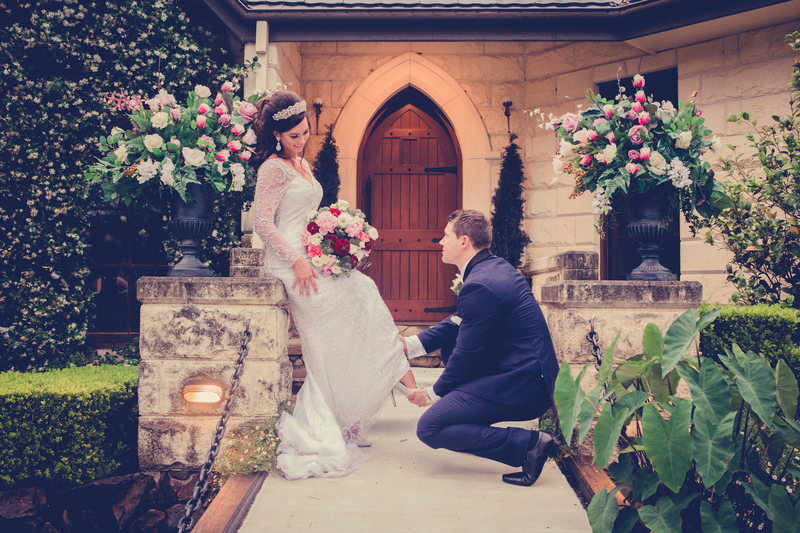 The most beautiful place to be married on the Gold Coast! It felt like stepping back in time to a fairytale as I walked down the aisle at Evergreen Gardens. All of our guests were blown away not only by the beauty of the grounds but also by the lovely and hospitable Marina and her charming husband. They have made our wedding day a most precious and stress free day that we will cherish forever. Cannot thank them enough.